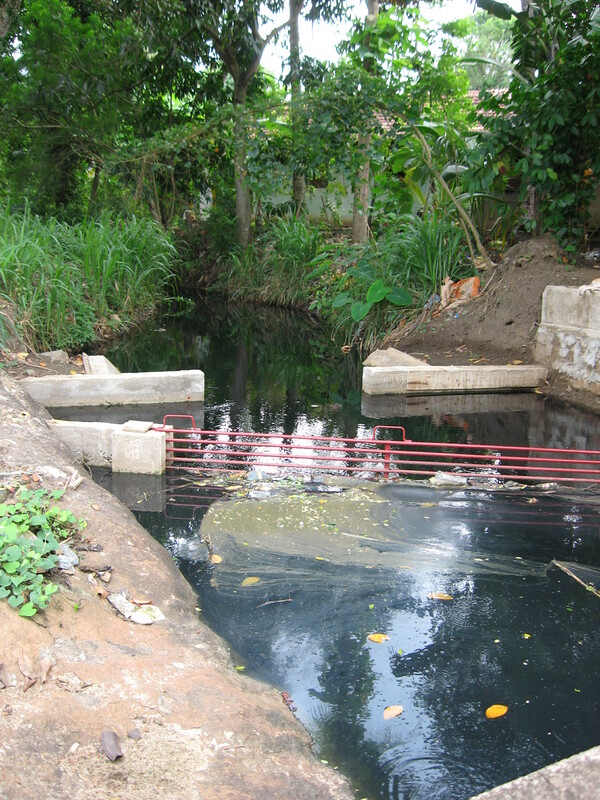 IWMI’s newsletter ‘Water Figures’ Issue 3 2008 released this month has an article in it on the work of the KSinR Project and its Pilot Projects– “Improving the Impact of research through Knowledge Sharing” by Nadia Manning-Thomas. The article then goes on to ask: “These are all IWMI researchers – but what are they doing?”- since it seems quite different from usual research activities. A previous post informed you all about an article- ‘Sharing knowledge-Tell us a story‘- based on the Knowledge Sharing in Research(KSinR) Project and its Pilot Projects in the New Agriculturalist Magazine (September edition). This article got alot of interesting feedback and has been picked up by other publications, websites and blogs. In the recent edition of the New Agriculturalist Magazine (October 2008) is an interesting article on ‘Points of View: Agricultural research and development- which way now?” presenting a selection of viewpoints from some of those researchers, practitioners, private sector and farmer representatives, and those from international and donor organizations who met in December at the Institute of Development Studies (IDS), UK, to reflect, review and propose ideas to improve research and development in agriculture. Amongst these points of view presented are some from researchers of the CGIAR and many partners and stakeholders of CGIAR research. According to the article “There was a general consensus that farmers and farming systems are changing and that there is an urgent need for changes in approach if more effective agricultural development is to be achieved“. …but what is YOUR ‘Point of View’? To achieve greater progress we need to learn from what has worked and what has not worked in terms of farmer participatory research, and to mainstream involvement and give farmers, consumers and others more of a say in what research is undertaken. Researchers need to be asking themselves how they can be much more effective in working with farmers, national governments, consumers and the private sector to develop better technologies and better policies. I think one of the key elements is to come up with mechanisms that help to bring farmer knowledge and scientific knowledge together in such a way that it becomes accessible to a wide range of end-users and intermediary users or service providers. Too much emphasis on methods and techniques, I believe, takes us away from the central principle: how do we learn from farmers? How do we enrich our understanding and build bridges between formal and informal science? I also think the time has come to move on from thinking of just farmers. Why not labourers, too? If the workers are better informed they can carry knowledge to many farms. Do we want innovation or innovative people? One farmer in Sri Lanka trained 4000 other farmers at his own expense. What he did was more persuasive than ten published articles in journals. Many farmers are better educated and many have increased their commitment to farming. On the other hand, young people are deserting agriculture. Alongside these demographic and cultural changes we see a blurring of roles in agricultural research. It’s no longer that farmers do this and researchers’ role is to do that: I think extensionists, farmers and researchers can all become very good friends in the process and are more likely to be productive, and have impact if we break down the mental stereotypes of each other. A basic characteristic of man is that we tend to accept the status quo and what is familiar rather than go for the challenge of change. Take scientists, they dwell on talking about concepts without wanting to really get to grips with change itself. What I believe is that in order to bring about change we have to change ourselves so that we will be able to reflect on our methodology and respond to the challenges of poverty, climate change and so on. There are a lot of actors in this. Researchers are one part of it, so are national governments, civil society, donor governments and of course the private sector. We do not expect researchers to achieve everything on their own. That will not make sense. Farmers and researchers are just two groups within a wider network of players that are required to bring innovation about. And I think one of our challenges really is to take away some of the emphasis on researchers and indeed on farmers and to look at the wider set of players that are required to make change happen. I feel it is wrong to think that innovations belong to the research sector. I think innovations are more likely to be nurtured by the development sector because innovations are supposed to be solutions to problems and so they emerge from the experiences of users testing ideas. Innovation is not something that can be anticipated, researched into. Innovation emerges. How do we ensure that there is a level playing field for different kinds of knowledge? 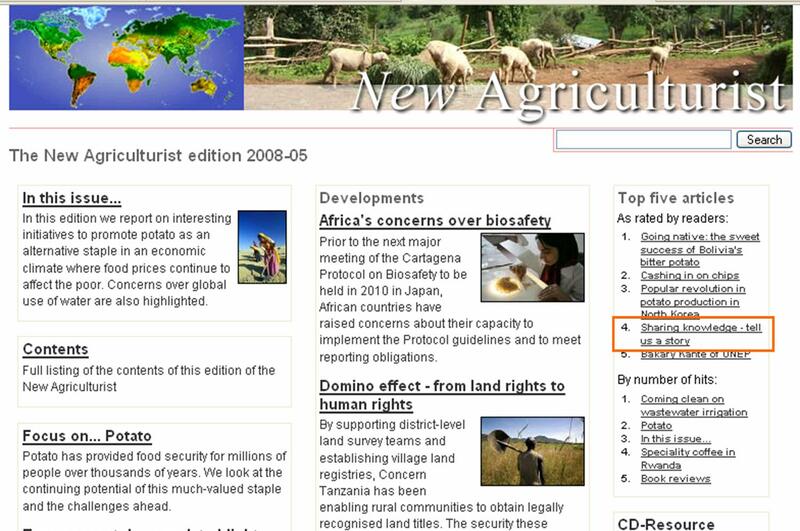 Where is the forum where farmers, NGOs and even formal scientists can talk on equal terms? Knowledge dialogue is what I would like to see more effort going towards because, unless we identify and address the different hierarchies of power, then we will just strengthen all the existing asymmetries or inequalities in the system. I think one of the areas that we certainly need to strengthen as we look at innovation systems is the whole area of farmer organisations and what role these can play in defining the research agenda. How is the farmer going to really be an initiator rather than just a passive participant in participatory research? I want to discover and share ways of how we have empowered farmers, emancipated farmers, involved farmers, who really can participate in the process. To address problems on-farm we also have to look beyond the farming systems. Farmers and farming are influenced by many factors in the wider economic and political environment. So we are looking for innovative systems that really can address the issues in their complexity, but it all boils down to bringing farmers benefits in the way they relate to the world and to the regional and local markets that they are dealing with. What I would like to see is people reflecting on themselves, being aware of their own mindsets, being aware of what they see, what they don’t see, what they tend to prioritise and what they tend to push to one side. If that was a quality in the agricultural scientists and extensionists of the future, and if it was a quality in the managers and administrators and policymakers who are responsible for agricultural policy, then I think we could have a major transformation in the next 20 years. There are hundreds or thousands of wonderful experiments going on at village level but that is not fully reflected in the mainstream of education, it is not reflected in the mainstream of institutions, of development agencies of DFID or FAO or World Bank. That is quite a challenge. Farmer champions have to speak up to convince policymakers and leaders, those who develop curricula in universities and ministers of agriculture who establish the policies within which research and development can work in a participatory way. But if we could get through to these I think we would be much happier. Maybe that could be the target for the next 20 years. We need to change our way of doing things, our attitudes. We have to give a chance to the pastoralists or to the people directly to talk about themselves. Instead of us directing and dictating to them what to do, they should tell us what they need us to do. That approach should be the way forward to help to improve their lives and living conditions. The real challenge is how do we scale this out? How do we get, for example, national research programmes to use some of these innovations systems approaches? In some countries we are still seeing very top down approaches that, although they can work for certain purposes, we know are not empowering enough in terms of getting farmers out of poverty. We really need strategies of how to scale out these processes and how to institutionalise them, especially national programmes. I would like to see a consensus on how to modify our approaches so that we can multiply our impact. No single person can finish the work in Africa – we have to work together. But if we continue to talk theoretically we may not be able to achieve this. 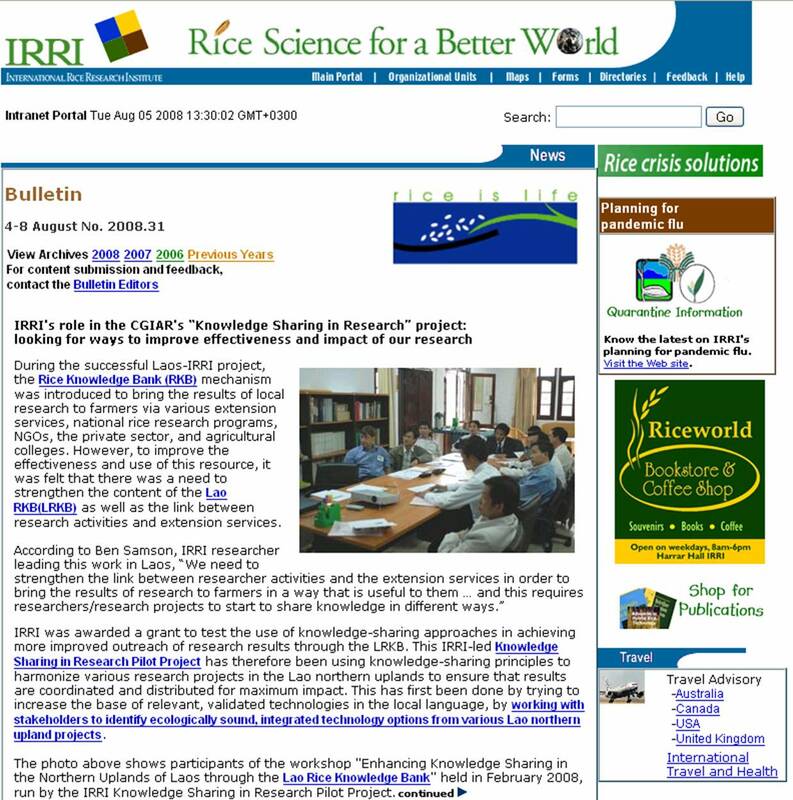 An article about the Knowledge Sharing in Research Project is the opening piece for the most recent News Bulletin of the International Rice Research Institute (IRRI)-see it at the following link. The article opens with a description of the IRRI-lead KSinR Pilot Project, which is developing and strengthening the Laos Rice Knowledge Bank as a mechanism to get valuable research-generated knowledge to farmers by making it appropriately packaged and available for use by extension agents. The article goes on to further describe the KSinR project as a whole and providing information on the work of the other 5 KSinR Pilot Projects.